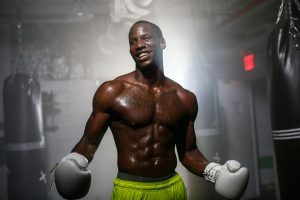 The following is the Boxing Insider notebook for the week of August 7th to August 14th; covering the comings and goings in the sport of boxing that you might have missed. DAZN, the world’s largest dedicated live sports-streaming service, today announced an exclusive, three-year Canadian distribution agreement with World Boxing Super Series (WBSS). The professional boxing tournament, owned by Comosa, has struck a deal to make 15 fight nights available to fans in Canada and the U.S. only on DAZN. Launched in 2017, the WBSS is a first-of-its-kind annual boxing tournament that brings together the ‘best of the best’ fighters to compete at venues around the world for the Muhammad Ali trophy. The agreement will start with the broadcast of the 2018-19 season this fall and include footage from the initial draft Gala event, announcing the draw for Bantamweight and Super Lightweight divisions. A third weight class will be announced soon, for a total of three weight classes and 24 boxers competing in the tournament. TheWBSS’s Season II fight nights will begin in October 2018 and stretch into January and February with finals taking place in summer 2019. Each event will air live on DAZN Canada and be available on demand to Canadians as part of their monthly subscription. “COMOSA is delighted to meet the massive interest in the World Boxing Super Series and the quest for the Muhammad Ali Trophy from Canadian boxing fans. Millions can now enjoy the world-class match-ups of Season II, ” said Comosa. Maxim “Mad Max” Dadashev will defend the NABF super lightweight title against former WBC lightweight world champion Antonio DeMarco on Friday, Sept. 14 at the Save Mart Center in Fresno, California. The Dadashev-DeMarco bout will serve as the co-feature to Jose Ramirez’s WBC super lightweight title defense against Antonio Orozco. •Welterweight puncher Alexander Besputin (10-0, 8 KOs), coming off a third-round knockout at the Save Mart Center on May 26, will face Alan Sanchez (20-3-1, 10 KOs) in a 10-rounder. •Fresno native Isidro Ochoa (5-0, 1 KO) will face Victor Morales (9-0, 5 KOs) in a six-round lightweight contest. •Former two-time interim world champion Bryan Vasquez (37-3, 20 KOs) will take on Carlos Cardenas (21-14-1, 13 KOs) in a lightweight bout. •Top 122-pound prospect Santos Ortega (2-0, 1 KO), who last fought July 7 at the Save Mart Center, will fight Sebastian Baltazar (1-1, 0 KOs) in a four-rounder. •Ruben Rodriguez (3-0, 1 KO), from Indio, California, will fight an opponent to be announced in a six-round super featherweight bout.